Services: His ashes will be scattered in the mountains of Park City, UT. A party to celebrate his extraordinary life is planned in St. George, UT on March 2, 2013. 2277 Cohonina Circle, Saint George, UT 84770-5318 ... (435) 652-1826. 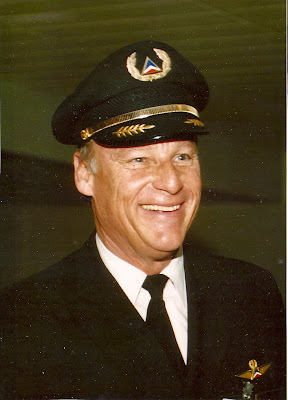 Arrangements for Captain Crum will be posted on our blog spot when known. Capt. John E. Crum lands his last flight as a Delta Air Lines pilot Wednesday. HEBRON - Delta Capt. John E. Crum said he was "closing the circle'' Wednesday when he completed his final flight as a commercial airline pilot, from Frankfort, Germany, to Cincinnati - Northern Kentucky International Airport. Mr. Crum, who grew up in Hyde Park and graduated from Withrow High School, landed the Delta MD-11 jumbo jet and taxied between twin arches of water from a pair of airport firetrucks in a traditional final salute. 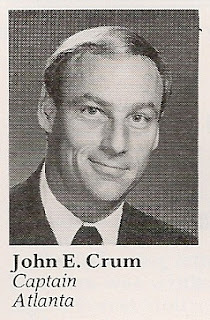 ''I flew my first plane (a single-engine Taylorcraft) out of Lunken (Airport) in about 1956,'' said Mr. Crum, who will celebrate his 60th birthday today at his home in Park City, Utah. ''I wanted to end my flying career where it started. It seemed fitting.'' Mr. Crum, who began his career with Delta in February 1965, has more than 25,000 flight hours in both civilian and military aircraft. 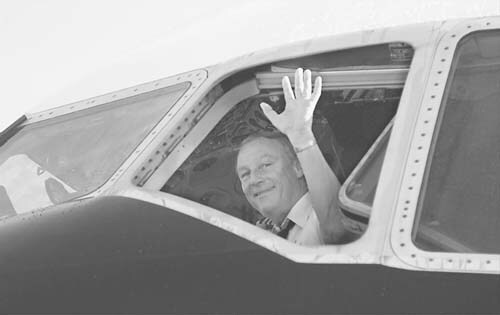 He piloted the inaugural flight from Cincinnati to Paris in 1991 and flew Jimmy Carter from Atlanta to his presidential inaugural in Washington. He is qualified to fly seven different commercial aircraft, as well as helicopters and single-engine land and sea planes. A graduate of Ohio State University, Mr. Crum became an Army paratrooper after college, when he discovered ''it might be better to fly the airplane rather than jump out of it.'' Federal Aviation Administration regulations mandate retirement at age 60 for all commercial pilots. ''I may learn to play golf, and I'll be able to spend more time with my wife,'' he said. ''There is some nostalgia here. I won't miss the long nights over the Atlantic or the time away from home. But I will miss the camaraderie, and I'll miss Delta. It's been a good company.'' Ironically, Mr. Crum couldn't make a connecting Delta flight from here to Salt Lake City on Wednesday afternoon because snow storms in Utah had closed the airport. Captain John Crum checked me out on the L1011, as Captain. During the checkout I learned that we had several things in common, we were both Airborne/Rangers, in the US Army and there are not many of those working for any Airline. 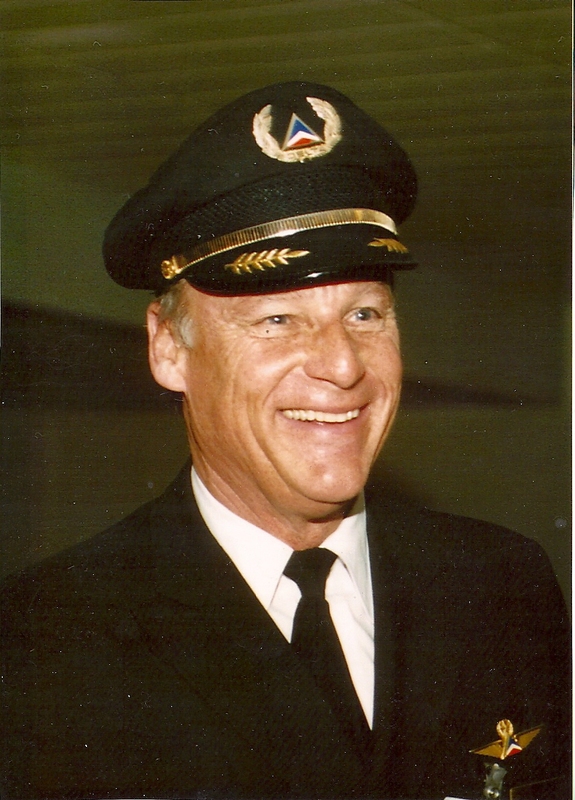 Captain John Crum was a gentleman and I am sorry that he is gone. One of Delta's finest , gone too soon . Lorna Gienelloni , Flight Attendent , 1969.